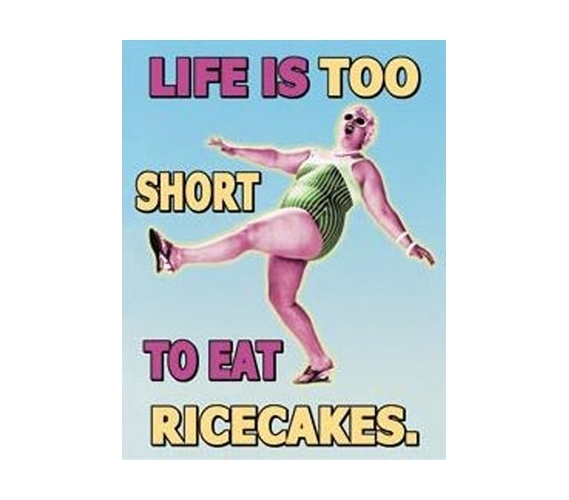 If you're looking for some dorm decorations with some truth behind them, then this Eat Ricecakes Tin Sign is the perfect decoration for your dorm. When choosing college stuff and wall decor for college, make sure that your college decor items carry some personality! Go ahead and have some fun while you're shopping for college. It can be plenty of fun to select your twin XL comforter and a comfy, lounge-y dorm chair. Yet buying your dorm room decor is always a great time, especially if you seek out funny dorm stuff and think about how many laughs and smirks it will bring to your dorm room!